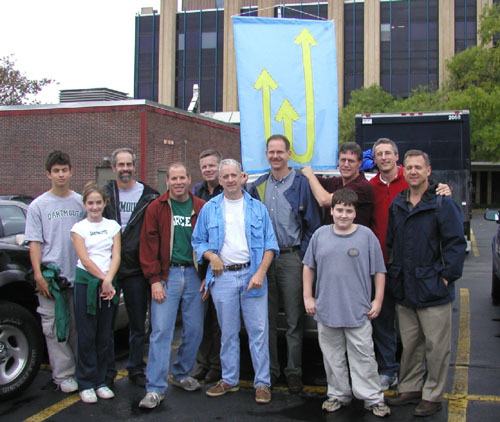 A few HPF bro got together for lunch in Lebanon on Nov. 22, 2004 in honor of Dave Demaro's visit to the area. In addition to Dave, attending were Dave Halpert, Gary Mayo, Jeff Reed, Steve McAllister and Ted Moynihan. I spoke with Jim Bullion in late October and learned he has been recalled again for active duty and will be returning to Iraq for a second tour of up to 8 months starting in November. This will mean another Thanksgiving and Christmas away from his family. Jim, we all wish you the best of fortunes. 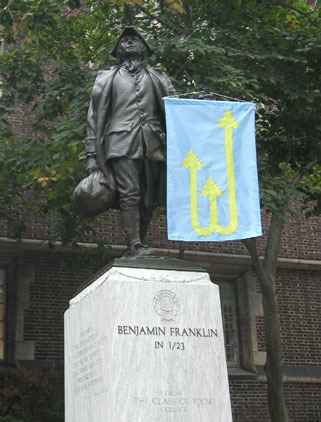 Oct. 2nd, 2004 was a bad day for Dartmouth Football (they lost) but a great day for HPF alums as many gathered at Franklin Field in Philadelphia for a min-reunion. HPF bro in attendance included Dan Sheedy, Jeff Walters, Mark Winkler, Brad Ferris, Jim Payne, Joel Rappoport, Gary Murphy, Bruce Mack, Bruce McLane, Vince Marriot, Skip London and Frank Anton. 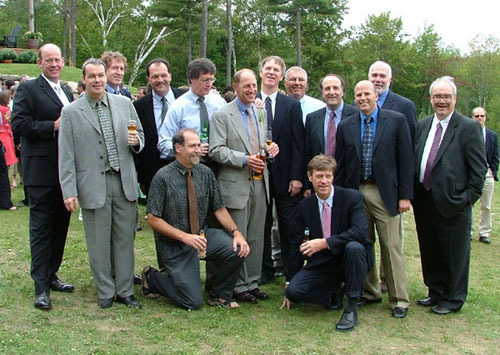 Many HPF brothers and I gathered in Enfield, NH on Sept. 6, 2004 for the wedding of Jeff Reed to Elizabeth Perry. It was a wonderful occasion and we all got a chance to see Ceep's new beautiful home he built himself and which has a fantastic mountain view. HPF alumns attending included Trey Howard, Tim Burke, Steve McAllister, Tom Gwin, Dan Sheedy, Jeff Reed, Jim Tyson, Gary Mayo, Dave Clark, Jim Gruber, Dave Halpert, DOug Caldwell, Ted Moynihan, Bob Leach and Bill Bender (not in the photo above) and many of their wives. Take a look at some additional wedding pictures. Audrey and I attended Audrey's 25th Dartmouth reunion on June 19, 2004 and connected with several '79 HPF bro. Some of those attending included Rich Pender, Craig Enright, Steve Huber, Matt Publicover, Vince Marriot, Brenden Cameron, Jim Boldt and Bob Gruendel. 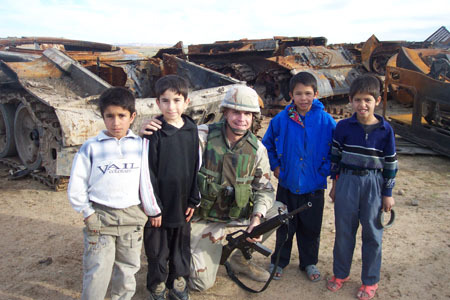 Jim "Sarge" Bullion '78 returned in March, 2004 from a lengthy deployment in Iraq. Jim was called up from the reserves and served as a Lt. Colonel and executive officer of the 404th Civil Affairs Battalion of the U.S. Army. He sent sent along the photo below. 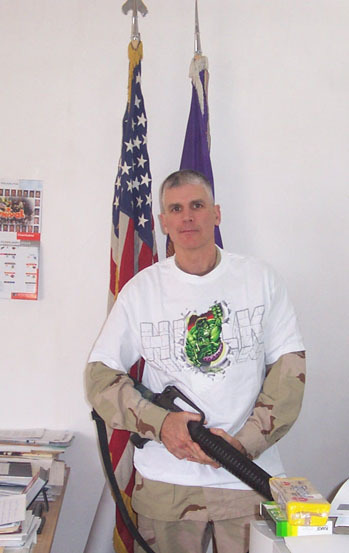 The Hulk tee-shirt was sent to him by some of the HPF bro in memory of Brian 'Hulk' Dale. 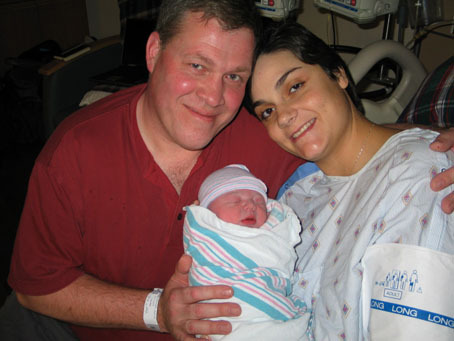 Congratulations to Rich and Denise Pender on the birth of their daughter Riley on Jan.7, 2004!